For years, the only book I recommended to friends or family members who said they were interested in learning more about investing was Peter Lynch’s quintessential classic, One Up on Wall Street . Even though I had found no other book that could better explain investing with common sense and easy-to-understand language, I always wished a more modern book would come along with up-to-date information and examples. After all, it’s been a long time since Mr. Lynch walked the malls looking for new investing ideas in the 1980s! Now, after all this time, it looks like Lynch’s 1989 classic might finally have some real competition as the first book I would recommend to a new investor: the third edition of The Motley Fool Investment Guide . Besides a few extremely helpful books along the way, I can say with near-certainty that everything I learned about investing can be somehow traced back to The Motley Fool, from its essential 13 Steps to Investing Foolishly series to the many helpful answers I got from Fools and community members on its many discussion boards . I was also a satisfied subscriber of the company’s Stock Advisor newsletter service for a long time before I started writing articles for the company. Yet, for some reason, I never got around to reading the The Motley Fool Investment Guide until the third edition was recently released. Whether you’re an experienced investor or at the beginning of your investment journey, you could benefit by moving The Motley Fool Investment Guide to the top of your reading list. Image source: Getty Images. I’m glad the occasion arose, because the book is chock-full of great investment advice. 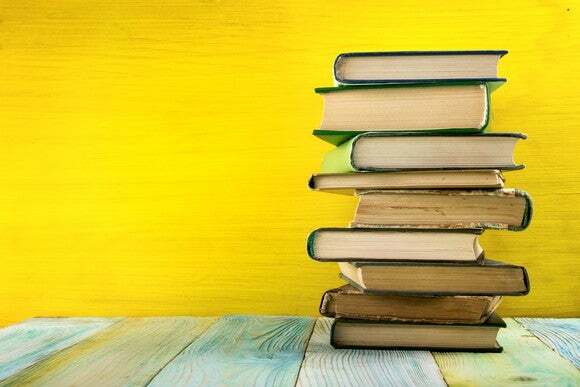 While it would take reams of bytes to go through everything in the book, let’s take a closer look at four timeless investment principles presented in the book that all investors should understand. The stock market isn’t propelled by synergistic forces driving toward greater efficiency, but rather by divergent ones generating ever-greater complexity. Pricing in a barter market like the stock exchange isn’t the upshot of one mind, one approach, or one analysis, but the consequence of many different attitudes, time horizons, valuation models, degrees of expertise, and varieties of expectation. It’s also, critically, the consequence of human emotions, in all their extremes. One of my favorite passages in the book is where it debunks the myth, gaining steam among many of today’s investors, that it’s impossible to beat the market. This is a consequence of the market not being truly efficient but rather full of inefficiencies that investors can take advantage of on almost any given trading day. After all, if the market were truly efficient, the book points out, it would simply advance by a minuscule percentage every single day. An example the Gardner brothers give is how Netflix, Inc. (NASDAQ: NFLX) dropped precipitously halfway through 2011 on doubts about the company’s plans to spin off its DVD business into a separate company called Qwikster. At its low after this debacle, shares dropped to $63. Fear was in the air, and investors and analysts alike worried that Netflix CEO Reed Hastings was completely out of touch with his customers. But management corrected course and scrapped plans for Qwikster, and by early the next year, shares had doubled to $127. That’s just one high-profile example of the market clearly pricing a stock wrong, allowing investors who had done their due diligence to take advantage. As we’ve warned over the years, you are your own worst enemy. Those are the six most important words in investing. Shady financial advisors, incompetent CEOs, and overpriced mutual funds don’t harm your returns a fraction of the amount that your own behavior does. That’s because successful investing has far more to do with how you act than with what you know. Traits like good temperament, patience, levelheadedness, and the ability to overcome biases are more integral to doing well in the market than anything you might learn in a classroom. In one of the more interesting chapters in the book, the Gardners discuss the many cognitive biases that cause investors to do dumb things with their money after investing it. Some of these behavioral biases include loss aversion , illusions of superiority , aversion to changing your mind, frequency illusion, anchoring , normalcy bias, and a host of others. Many of these behaviors cause investors to do one of the worst things possible with their investments: panic and sell at the first sign of trouble. Remember the Netflix example above? How many investors sold when the stock lost more than half its value and hit all-time lows as it struggled through setting a strategy? Investors who sold missed out on the stock’s incredible rebound and rise through the subsequent years. Invest money you plan on keeping in the market for at least five years. (We recommend a lifetime.) Stocks can and will go down. Sometimes a lot. And sometimes the market will take years to recover and reach new highs. But the long-term prognosis is tremendous. Remember the data we shared earlier: Holding periods of ten years resulted in positive returns 88 percent of the time. For twenty- and thirty-year holding periods, that number jumps to 100 percent. The market is far too unpredictable to try to make significant gains on short-term trades. Especially because Wall Street is so focused on the next quarter’s numbers, making a trade means beating the Street at its own game — a nearly impossible task, given the resources billion-dollar-plus hedge funds and mutual fund managers dedicate to the task. No, an investor’s real advantage lies in taking the long view with investments and letting compound interest work its magic . Back to the Netflix example: Let’s say some investors did their homework, realized the Qwikster fears were overblown — especially after Reed Hastings reversed course — and were savvy or lucky enough to get in at the very bottom in 2011. Then these same investors sold when the stock doubled just a few months later. Great trade, right? What investor would complain about a double in such a short amount of time? None I know, that’s for sure. And yet, the investors who have held on to those Netflix shares from its 2011 lows saw the stock price rise 14 times over by 2016. Now that’s impressive! A long-term time horizon will always work better for individual investors in today’s market. Broadly speaking, we recommend “business-focused investing” — that is, seeking out great and amazing growth-opportunity businesses, rather than relying on a mechanical formula. We ask ourselves where the company, not the stock, will be in the next three to five years and beyond. We look at criteria such as competitive advantage, market opportunity, strength of leadership, and other characteristics that are tough to plug into a financial calculator. Put another way, it is more helpful to look at a company’s qualitative advantages than its numbers. Of all these principles, this is the one I wish I had learned the quickest after I started investing. I can’t tell you how many times I got suckered into an investment because of a low P/E, a high dividend yield, or a temporarily high growth rate. If I had only looked at the quality of the underlying business and its moat (or lack thereof), I could have saved myself a lot of heartburn (and money!). To bring everything full circle, what investors do you think were more apt to not only hold Netflix stock when it reached its bottom in 2011, but to add to their position? Certainly not those who bought knowing nothing about the business or those who only held it because of its technical momentum. Not knowing the quality of the business behind a stock ticker will play into your worst instincts as an investor. If investors can internalize these lessons, their returns will be much better off for it. And if you’re looking for a great place to start learning how to become a market-beating investor, there are few better places to start than The Motley Fool Investment Guide . Matthew Cochrane has no position in any of the stocks mentioned. The Motley Fool owns shares of and recommends Netflix. The Motley Fool has a disclosure policy .